One Arizona organization is helping foster children have a successful life after foster care. ​In the current foster care system, when a child reaches 18 years of age they “age out” of the system and are on their own. According to the Department of Health and Human Services, 25% of those who age out of the system wind up homeless and on the street. “Well, I’ve been in the foster care system since I was a young child," Jonathan Whipple, who recently aged out of the foster care system, said. Without help, Whipple would have gone right back to the life that led him to enter foster care in the first place. “I started getting in trouble in my early teens,” Whipple said. "Got in trouble and went from detention to starting to get arrested." The Arizona Department of Child Safety, as Whipple tells it, decided that his grandmother, who was raising him at the time, was not able to provide the direction that Whipple needed. At the time, Whipple admits to selling drugs and running with gangs. Today, he seems to be a different person. Organizations like Trinity Opportunity Alliance played a big role in Whipple’s turnaround. “I heard that children who had been in the foster care system are much more likely to end up homeless," said Reverend Nancy Cushman of North Scottsdale United Methodist Church, who started TOA. "It broke my heart to hear that." With the help and support of the congregation, Rev. Cushman began placing young adults who aged out of the foster care system with employers who were looking to fill jobs. “What do we do? What outreach could we do that would make a difference?” asked Janice Grandy, Trinity Opportunity Alliance’s Program Director. “To be change makers, not just fundraising; sending money at them, but how could we change the environment? 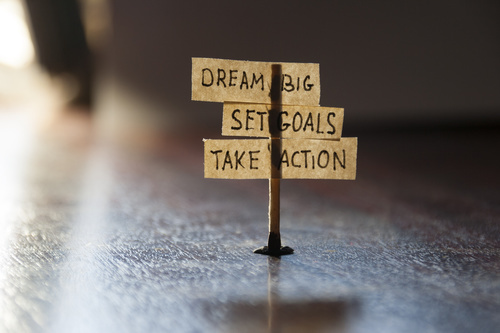 How could we do systems work that would really change their lives?" The answer seemed to be employment. As employers teamed with Trinity Opportunity Alliance, more and more young adults found themselves in meaningful jobs, with coworkers who were interested in their success. “It's really exciting,” said Cushman. "This is probably one of the most important things in ministry I've been able to start and be a part of." One more way in which TOA helps its young adults is through reliable transportation. TOA has been able to donate a handful of cars to those who have gone through the program, to get to work or program meetings. What is Trinity Opportunity Alliance? At eighteen, youth who are in foster care are no longer the responsibility of the state and are considered “aged out.” With no support system, little if any work experience, and minimal education, many of these young people are unemployed and become homeless. What role can a faith community play in helping these young people become economically independent? Trinity Opportunity Alliance (TOA), a program of North Scottsdale United Methodist Church, identifies potential employers, works with youth serving organizations to match eligible youth with jobs, and supports employers with training and problem solving. Who? Young adults who are aging out of the Foster Care system.Employers who are motivated to help these young people gain work experience. What? A program that connects members of the congregation with business connections with foster youth to provide employment opportunities. Why? Employment gives these young people a hand up, not a hand out. By giving them an opportunity for a supportive work experience, they will become economically independent. Janice Grandy's skills and leadership propelled the success of the Trinity Opportunity Alliance organization from a concept to reality! On June 4th, 2017, she stepped down from her leadership role. Pastor's Nancy and Dave thanked her for all that she did to help make this venture take off! Fortunately, Janice will remain in a board of director position for TOA. So nice of Billie Fidlin from DSW conference to attend and support Janice Grandy! Thank you to Madge Haynes (her replacement) for being there as well! ​Thank you Janice! You are loved and respected for your ministry to the foster care community and for being YOU! 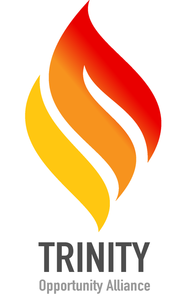 ​NSUMC is excited to announce that TRINITY OPPORTUNITY ALLIANCE. has hired two new staff! Berisha Black is an alumnus of the foster care system where she spent 15 years in care and then aged out. She is a prime example of resiliency; by overcoming her obstacles she has been a public speaker, trainer and role model for others. She graduated from CAL State University, Los Angeles with her bachelor's degree in Social Work. Berisha was the Executive Director of AZ Foster Care Initiatives for 3 years and with her leadership they trained over 300 new faith-based Foster/Adoptive Parents. She worked for Casey Family Programs for 5 years in the training and technical assistance unit. She also was a foster parent for several years. Berisha received the 2017 Congressional Angels in Adoption award. Carolyn Blaney-Arndt is working close to her heart, sharing with community and faith groups about the struggles youth face aging out of foster care. In 2013 she scrambled to organize a Thanksgiving dinner for foster youth after hearing about the sad realities for children in group homes in Arizona. Continuing as an annual event, the volunteers serve over 300 foster youth a big party with turkey dinner every Thanksgiving. Carolyn draws from her personal experience in business ownership, and professional background in group practice management, understanding that many of these young people seem challenging for employers. She works directly with foster children as a Court Appointed Special Advocate (CASA) in Maricopa County, and is a member of the Children & Poverty Task Force for Desert Southwest Conference of the United Methodist Church. NSUMC hosted a shower for teens graduating out of the foster care system. This event was created by AZ Friends of Foster Care. ​Click on the photo to read more about the event. We are thrilled to announce that Trinity Opportunity Alliance has been awarded a grant of $355,000 from Los Arcos United Methodist Building Corporation. This will allow TOA to expand the program to reach more employers, churches and, most importantly, more young people aging out of the foster care system.